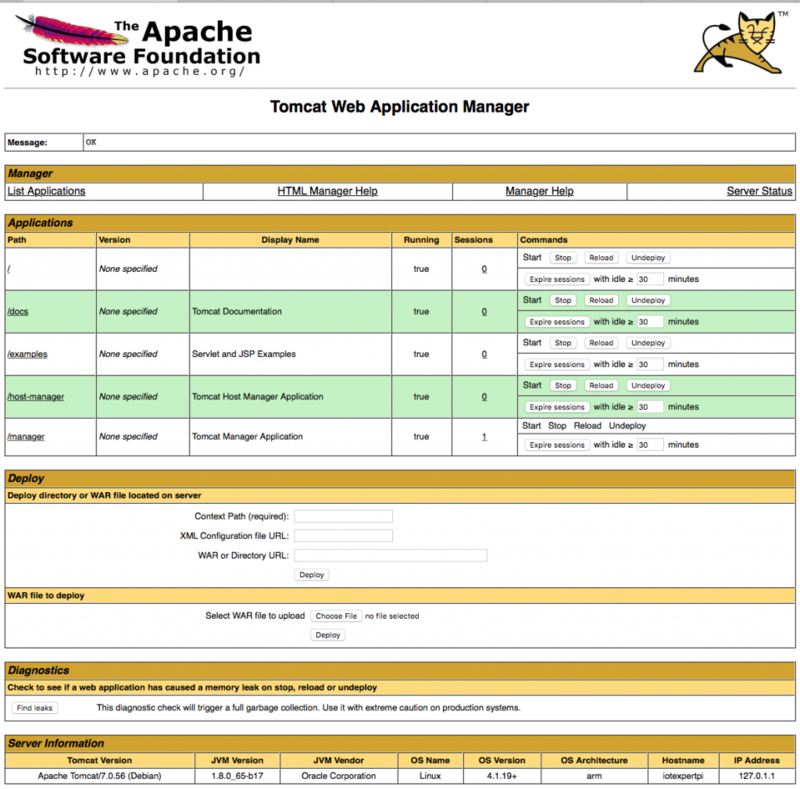 Apache Tomcat is a web server that allows you to create dynamic web pages using “Java Server Pages” (JSP). Basically, you can embed Java into your HTML to create dynamic web pages. Instead of writing Java that spits out HTML (CGI style) you write HTML with the Java embedded into it to create the dynamic part of your web page. I use this to read the creek depth and temperature and put it into an HTML table, this will be the subject of a future post. 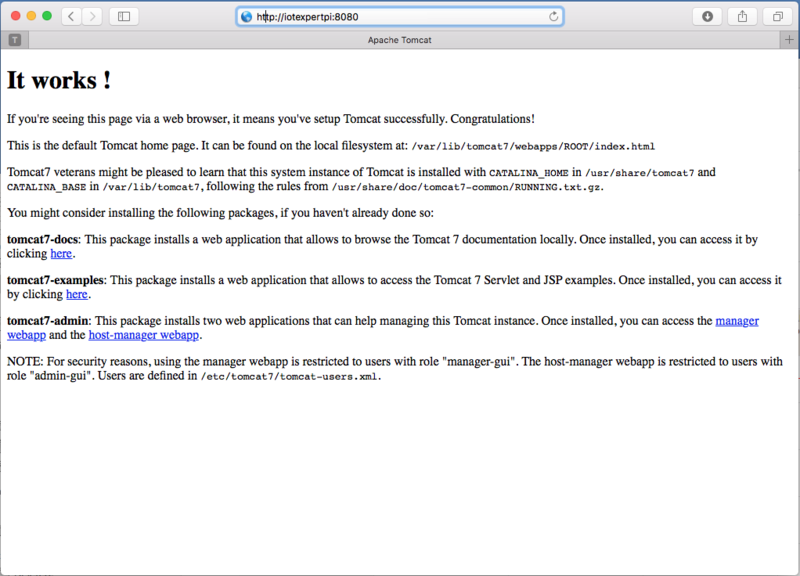 It is straight forward to install Tomcat onto your Raspberry Pi. You use your old friend “apt-get install” to load Tomcat from somewhere out in the cloud. After you have it working, you will need to configure the Administration and Manager users. 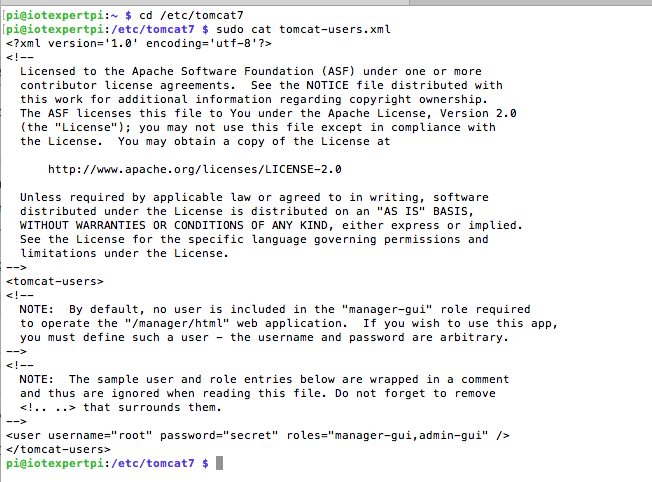 To do this edit the “/etc/tomcat7/tomcat-users.xml” file and add a user. I call my administration user “root” and gave it the excellent password “secret”. And the Virtual Host Manager. At this point the Raspberry Pi has all of the required tools to make the Creek Server work. In the next few posts Ill talk about the different programs that read the data, store it into the database and create the web pages.